CALL NOW TO NEGOTIATE A LOW PRICE FOR YOUR PUPPY !!!!!!!!!!!! Here you will find a teacup, mini or toy puppy at a reasonable price. Chihuahua Puppy Pug Puppy Yorkie Puppy English Bulldog Puppy Maltese Puppy Yorkie Puppy Dachshund Puppy. Puppy for Sale - TeaCup, Tea Cup, Toy, Mini Puppies: Puppy for Sale - Pet Friend Pet Store -Pomeranian Puppy Teacup Puppy Miniature Puppy Mini Puppy. Our online store is open 24 hours. Our physical location is open from 8am to 9pm. 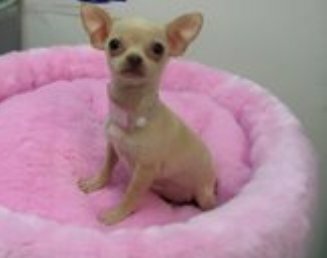 Puppies - Click on Links Below to see Pictures You can choose from a large selection of Teacups that our breeders have. PetFriend.com has puppies for sale and is located in the County of Los Angeles, in Long Beach, CA (California) but we provide services nationwide - for all states. We Have teacup puppies and all Pet supplies for dogs, cats, birds, fish, or small pets. Also, get advice for the care of your pet. Whether you need a puppy or pet supplies for your dog or cat, PetFriend.com is here to help you get it. teacup yorkie puppy as well as a teacup Chihuahua puppy. Our teacup yorkie is probably the cutest and cheap teacup in the internet today. The Yorkshire terrier teacup puppy for sale, is the same as the Yorkie one the name is just another name for it. Our breeder for poodle puppy is probably the best of all breeders. Maltese is on of the teacup puppies we almost specialize in and it is almost as a free teacup puppy for the price we charge. My favor teacup in ours store is our teacup Pomeranian teacup, though I like the Chihuahua puppy also. Our breeder poodle puppy toy Chihuahua is probably the best of all breeders. Perhaps not for free but our teacup yorkies are definitely at a reasonable price as is our maltipoo tiny teacup breed puppy female puppy shih tzu puppy schnauzer puppy . Teacup poodle puppies are available to buy here. Just call and ask. Don't hesitate to ask us for teacups and any supplies you need for you special pet. Call 562-481-2749. Email us at info@petfriend.com or call us at 562-481-2749.